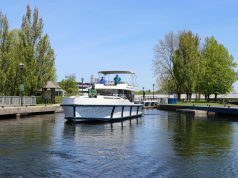 Every cruiser has a favourite destination — a snug cove in a quiet, well-protected bay, a lively and friendly port, or the marina or yacht club you call home — but reaching that place or gaining access to your favourite cruising grounds invariably means a passage. In the broadest sense, getting there should be at least half of the fun. So even those long, seemingly boring passages (usually over open water) should be savoured and not simply endured. For me, though, the narrower passages with more character and content — sometimes a destination in themselves — are the most memorable. They consistently promise greater challenges or better chances of relaxed cruising. Even if I don’t stop long to enjoy the place itself, those favourite passages are always memorable markers along the way. 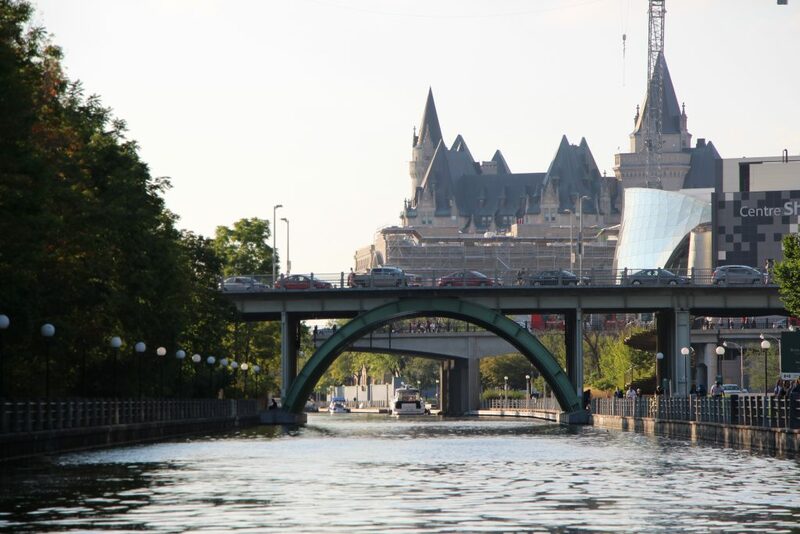 Technically, the entire Rideau canal system — connecting the Ottawa River and eastern Lake Ontario — is a passage. Built by Colonel John By of the British Royal Engineers about 185 years ago, its mostly hand-operated locks are an engineering marvel that provide 125 miles of relaxed cruising. When it was built, the canal ensured a safe, secure access to the sea. Since then, it has helped settlers move lumber and other goods to market and has been enjoyed by cruisers, anglers and cottagers. Its network of rivers, canals, locks and lakes has charming small-town ports, quiet and scenic anchorages. 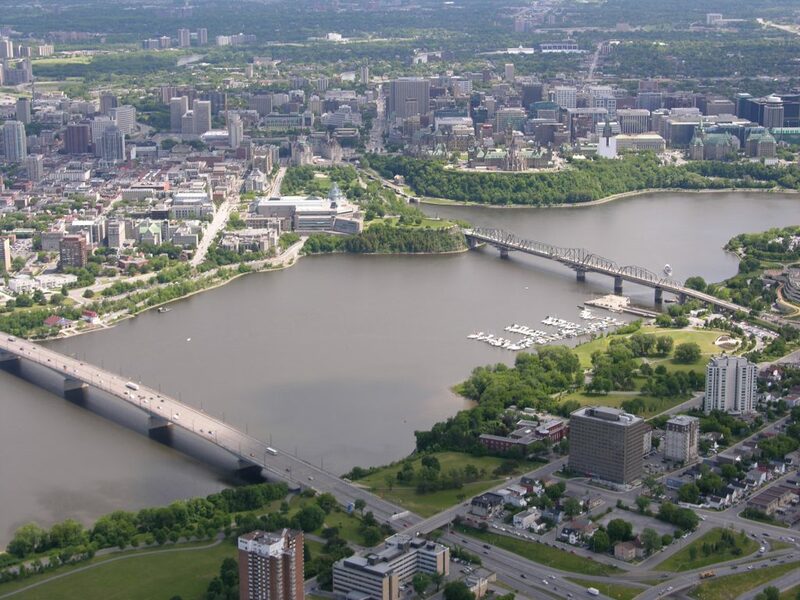 For me, though, the system is best defined by the passage at the official beginning of the waterway in Ottawa, where a flight of eight locks raise boats 79 feet from the Ottawa River to bypass Rideau Falls. 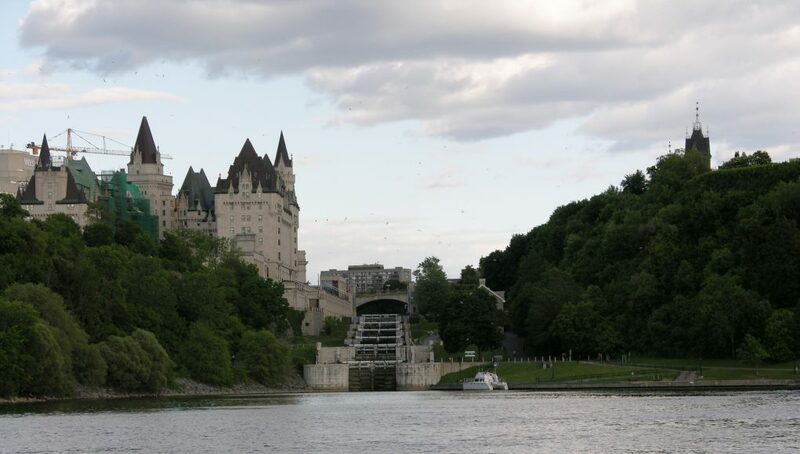 Passing through the flight locks, almost next-door to the Parliament buildings, you wind up in the heart of Canada’s capital city. It’s a quintessential Canadian experience and a fitting introduction to one of the country’s most pleasant and best-protected cruising grounds. There are plenty of natural and unspoiled cruising grounds in Canada, but the passage between Lake Erie and Lake Huron has seen plenty of human intervention, mainly to allow easier movement of freighters through the Great Lakes. The Detroit River, Lake St. Clair and St. Clair River are passages as well as a border separating Canada and the United States of America. The shorelines, especially in and around the city of Detroit, have been altered by commerce and transportation. A longer view of environmental history tells us that those changes are not always positive, but pleasure boaters always seem able to find benefits. One of the things I love about the Erie to Huron passage is how people on both sides of the shoreline can get together to celebrate and enjoy the waterway. 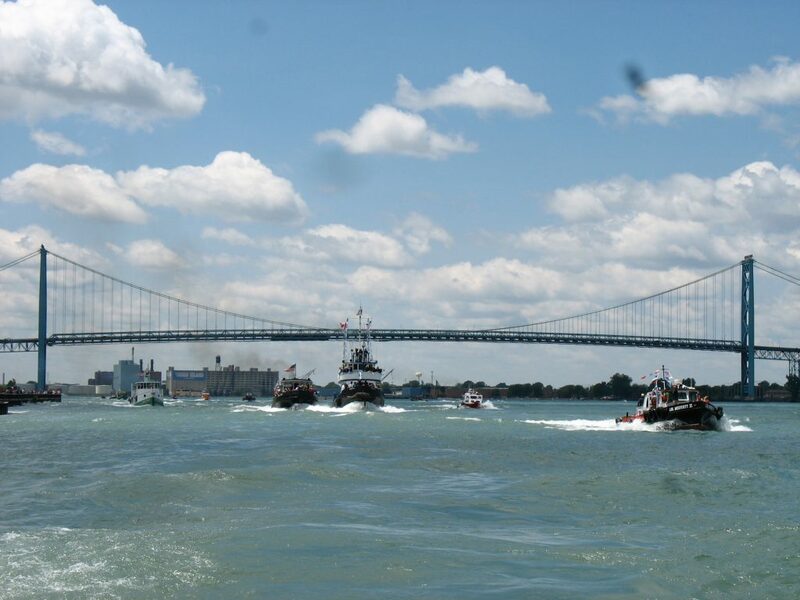 Based in Windsor, there’s the annual International Tugboat Race. 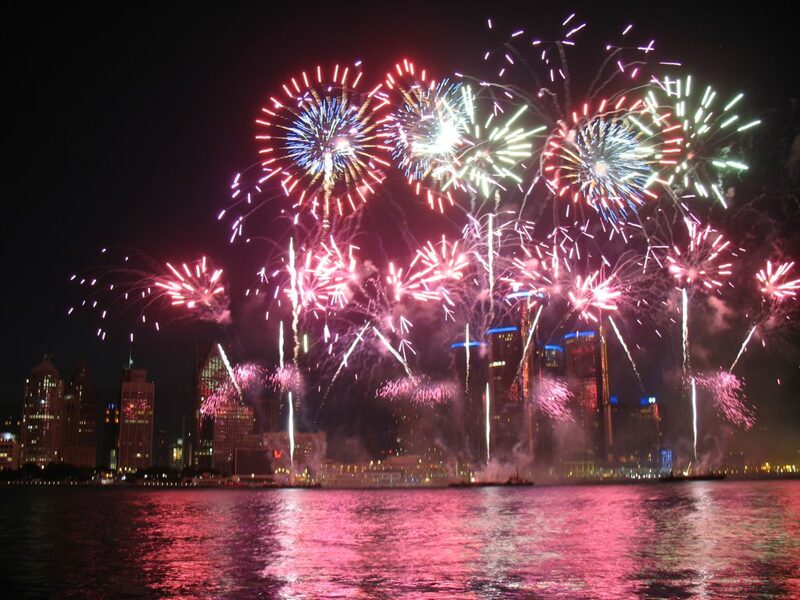 Detroit, for its part, traditionally provides a massive display of fireworks in June or July, marking both Canada Day and the Fourth of July. Both events are fun to experience from a boat, so if your timing is right, you can have a very memorable passage. 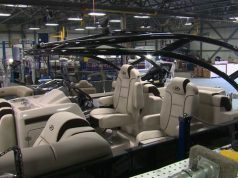 As for the benefits boaters glean from commercially oriented improvements to this passage, two stand out. The first is near Amherstburg, ON., north of Boblo Island and close to the Canada-U.S. border. Crystal Bay is a protected anchorage with a sandy bottom, side channels and crystal-clear water. Very popular with local boaters, it was created when the river was being dredged for improved freighter traffic. The second is a similar feature of the St. Clair cutoff channel, which was created to ease passage through the upper end of shallow Lake St. Clair. Sand deposited along the shore of the channel created a long beach on the appropriately named Seaway Island. 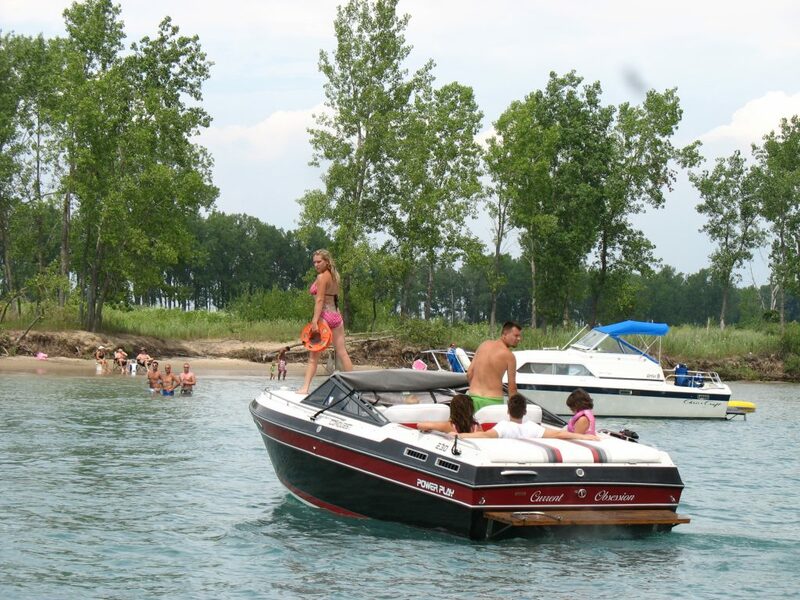 It’s a place where day-boaters pull up and enjoy all the benefits of a sandy beach as freighters steam past, seemingly close enough to reach out and touch. The cold waters of Georgian Bay don’t initially seem as inviting as the warm, shallow waters around Lake St. Clair, but the bay promises rocky, pristine vistas and quiet, often-deserted anchorages. Predictably enough, the passage into Georgian Bay from Lake Huron can be rocky, windy and cold. Knowing that the bay has some of the world’s best freshwater cruising makes the passage worthwhile. The Main Channel from Lake Huron into the Bay is the best choice if it’s dark or stormy and you want to stay absolutely clear of the many reefs surrounding the two passages further south — the Devil Island Channel and the Cape Hurd Channel. The Main Channel also has another benefit. If you round the top of Cove Island and head south toward Tobermory, the Cove Island lighthouse is a welcome and scenic sight. If your timing is right the southbound Chi-Cheemaun ferry will pass by. The legendary North Channel is a passage itself, joining Lake Huron and Georgian Bay, but there are many memorable passages along the way. Killarney Channel, a relatively narrow and well-protected passage that is home to the village of Killarney, two lodges and marinas, is a perennial stopover en route to the North Channel, or as a destination in itself. Nearby, the fjord-like Baie Fine may technically not qualify as a passage but leads to an anchorage at The Pool. It’s a perfect place to stop for lunch and a hike up to Lake Topaz. The most definitive passage into the North Channel is at Little Current, where cruisers must plan carefully or wait patiently for the swing bridge to open and let them pass. 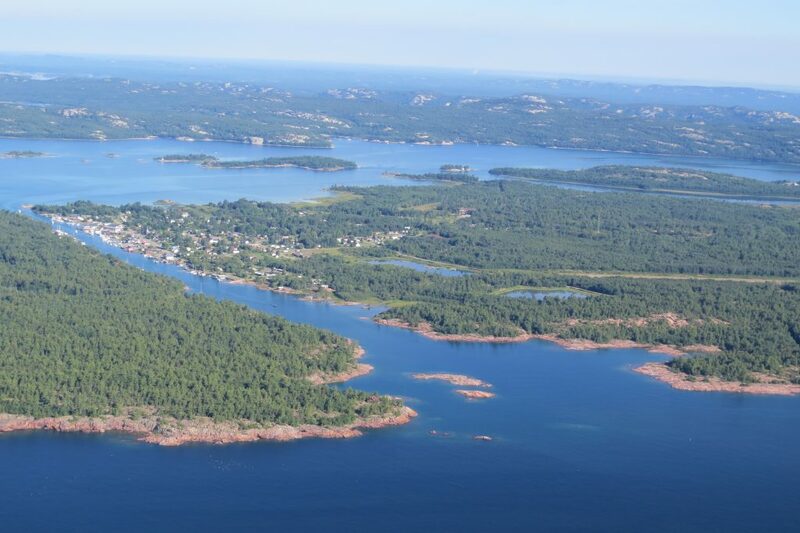 Once past the bridge, the islands, coves and anchorages of the North Channel await exploration and enjoyment. Heading north, there are other memorable passages. One of the narrowest and most memorable — limited these days to the boldest of skippers or those piloting a dinghy — is the channel between North and South Benjamin islands. Further north, en route to Spanish, is Little Detroit. It’s so narrow cruisers are asked to broadcast by VHF radio their intention to pass. Those headed back to the northern reaches of Lake Huron can choose their passage: Mississagi Strait between Manitoulin and Cockburn Islands, False Detour Channel north of Cockburn Island, or through U.S. waters in the De Tour Channel, between mainland De Tour, Michigan, and Drummond Island. North America’s ocean coastlines offer countless memorable passages, but I have a few favourites. The Intracoastal Waterway along the U.S. Atlantic and Gulf of Mexico coasts is about a 3,000-mile passage for commercial shipping as well as pleasure-boaters. I am most familiar with the waterway along Florida’s Gulf coast. For day-boaters, it provides easy access to the open waters of the Gulf, as well as alternative routes and destinations during rowdier wind and wave conditions. My favourite passage from the Intracoastal to the Gulf is Stump Pass, near Englewood, FL. There’s a well-maintained channel — dredged just last year — and a Florida State Park on the north side of the pass. 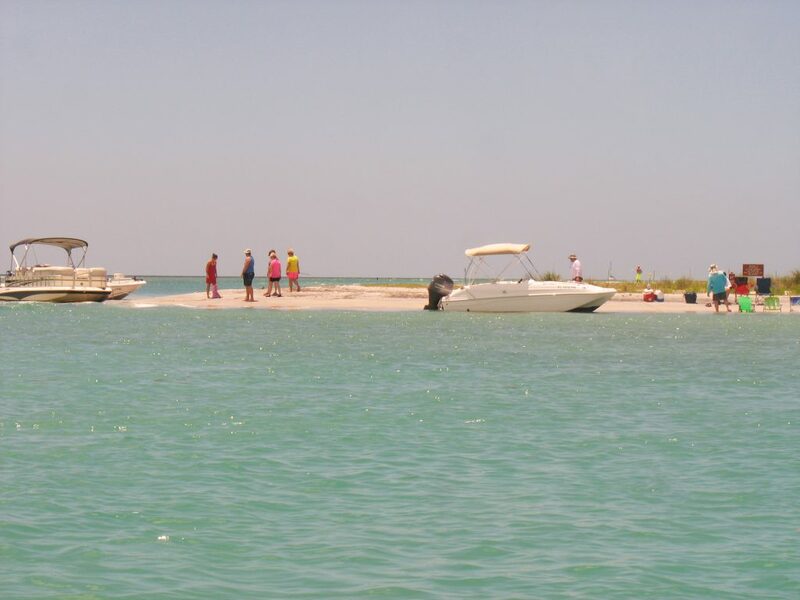 Between the park, a pristine barrier island beach and numerous sandbars (depending on the state of the tide) the pass area is a magnet for day-boaters, especially on sunny spring or summer weekends. If the Gulf is calm, it’s easy to cruise down the coast to two water-access-only parks on barrier islands further south. Barring that, the pass is a great destination in its own right. Canada’s smallest province also has barrier islands to the north and the channel behind one is another of my favourite passages. You can launch your boat at Malpeque or at Milligan’s Wharf in Poplar Grove, P.E.I. then cruise through Conway Narrows to the largest barrier island, Hog Island. 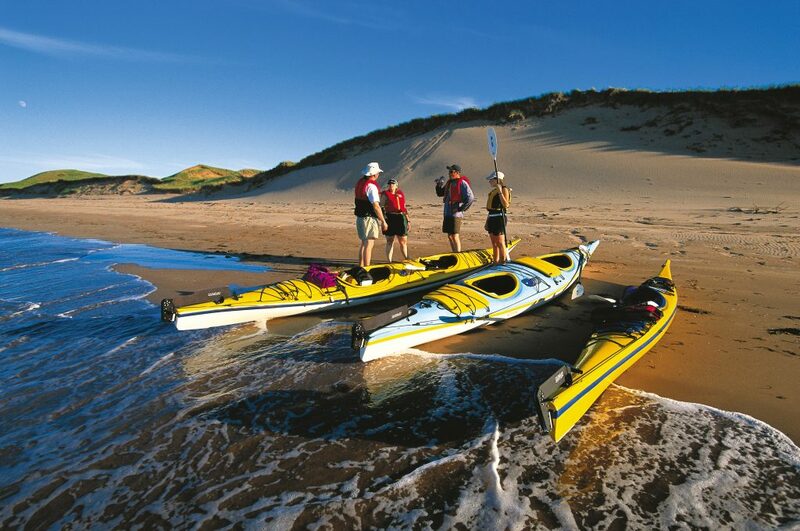 Determine a good landing spot and anchor your boat securely, carefully noting the state and likely effect of the tide. Landing on Hog Island’s south side, you can easily hike over to the beach on the Gulf of St. Lawrence. It is likely to be deserted, except for you and companions. Conway Narrows is the passage, but the desert island beach on Hog Island is the destination. 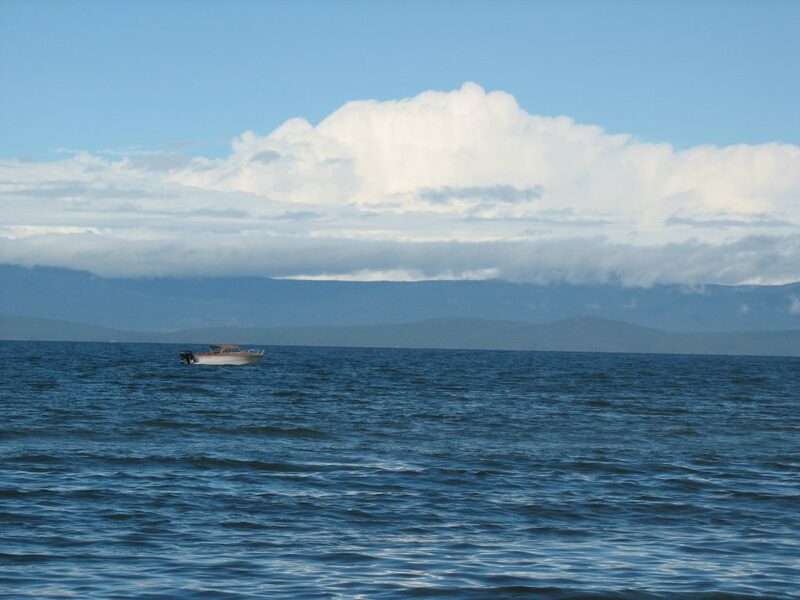 My favourite passage on Canada’s West coast is the Strait of Georgia, just north of Nanaimo and near Parksville, B.C., and Qualicum Beach, B.C. The passage is relatively protected, without the busy traffic found further south near Vancouver and the Gulf Islands nor extreme tidal currents of the narrower passages found further north in the Johnstone Strait, as it wends northwest towards the inside passage to Alaska. Vancouver Island’s east coast and Mount Arrowsmith rise to the northwest and the scene looking east appears often like a multi-toned canvas, as Texada Island rises up behind Lasqueti Island and, further north, Denman Island. Like most of my favourite passages, the northern reaches of the Strait of Georgia combine spectacular scenery with relatively protected waters and ease of navigation. Pleasure-boating at its best lets you enjoy beautiful natural surroundings, in confidence and comfort, with the promise of more to come as you continue on your way.